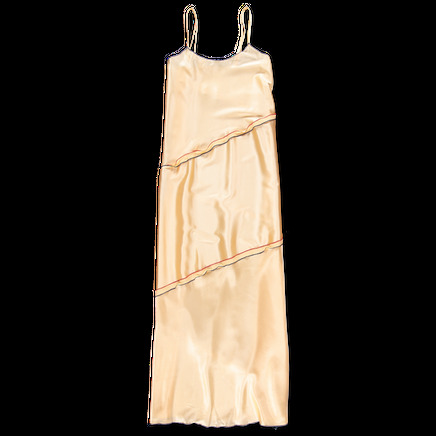 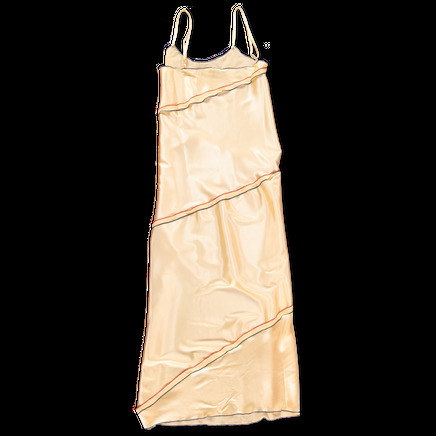 Gene Dress Silk Satin from Baserange. Fine adjustable straps and a slighty A shape cut. 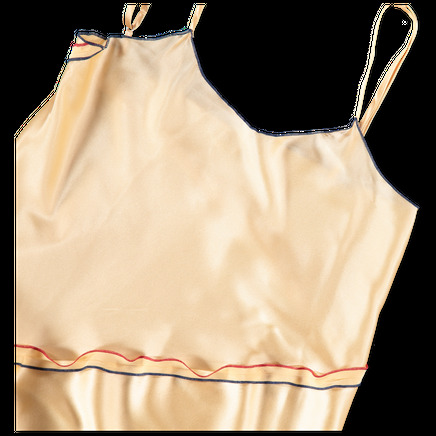 Inside out seams with red and blue babylock finish. Soft stretch silk satin.